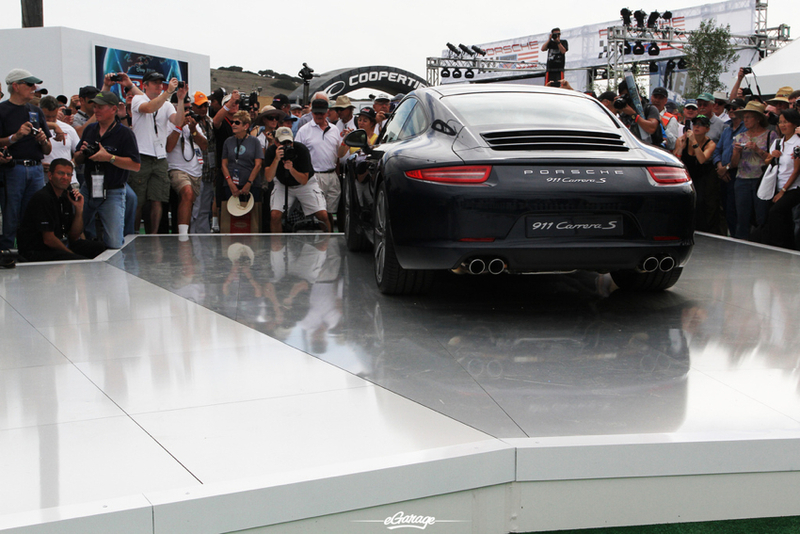 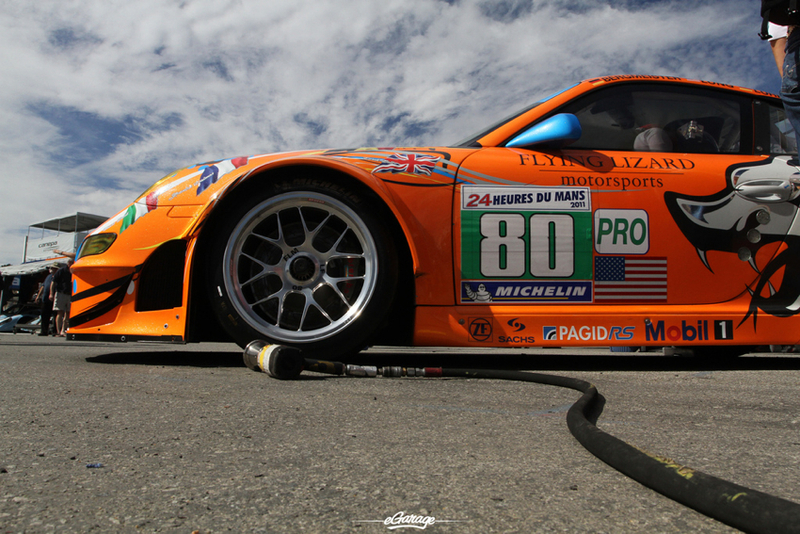 (Monterey, CA) Laguna Seca was host to Rennsport Reunion IV, the fourth installment of the world’s largest, undisputed best Porsche gathering. 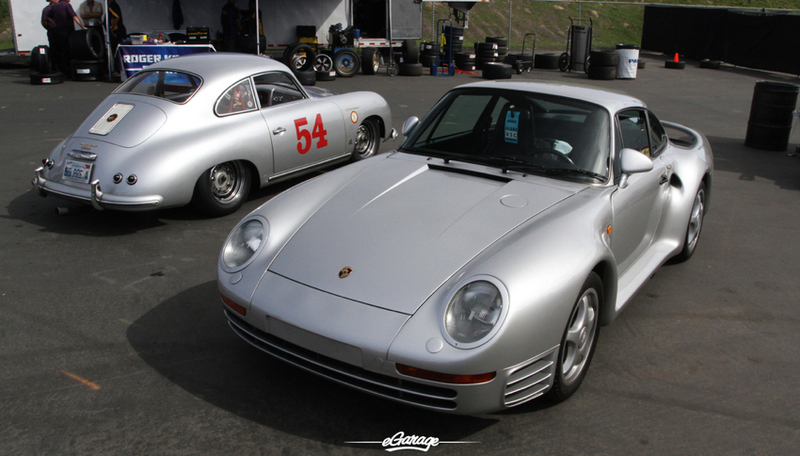 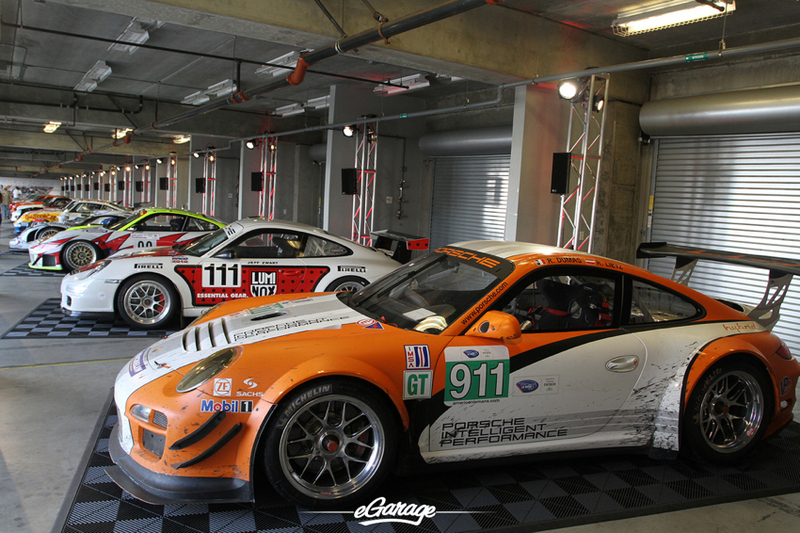 Rennsport Reunion is sponsored by Porsche Club of North America, and brings together Automotive enthusiasts and collectors of significant past and present Porsche race cars. 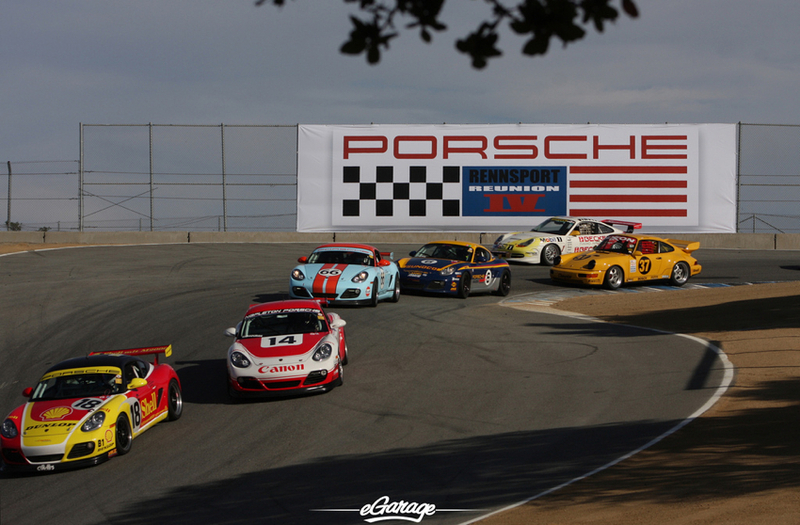 Friday through Sunday there was an impressive track competition concluded by an exclusive Concours d’Elegance at the Quail Lodge: Porsche Race Car Classic. 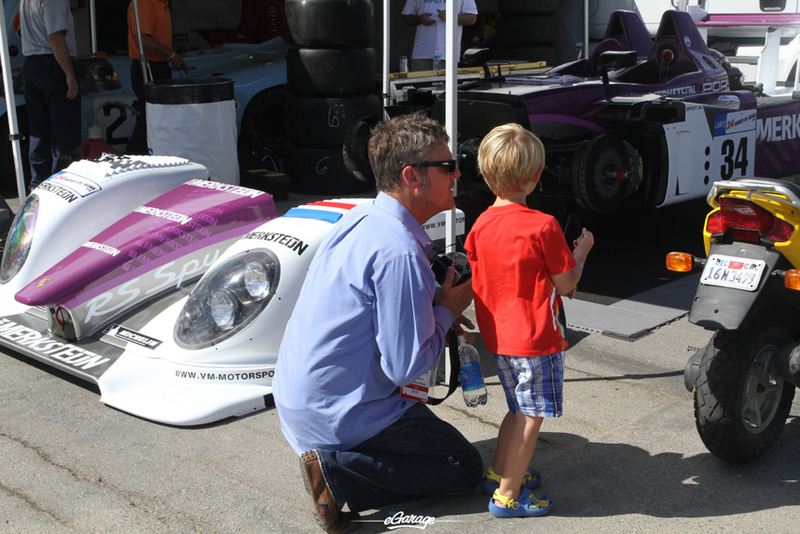 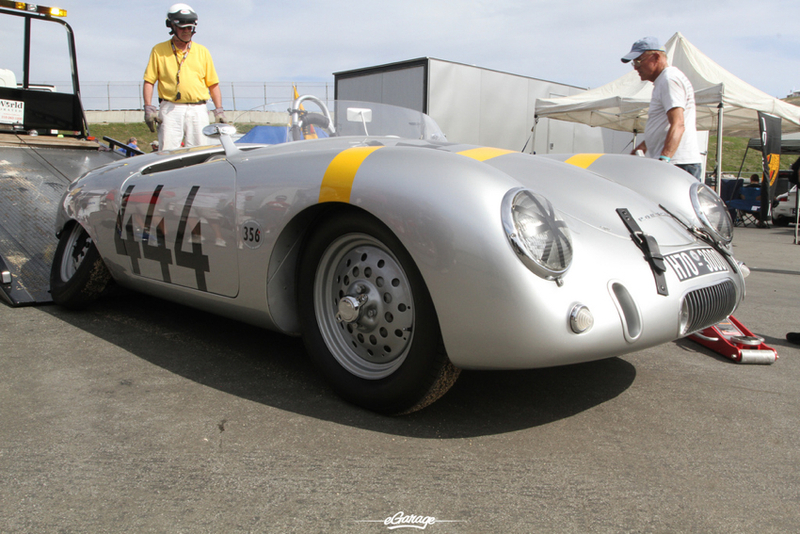 Porsche collector and television comedian Jerry Seinfeld served as Grand Marshal for the Porsche Rennsport Reunion IV. 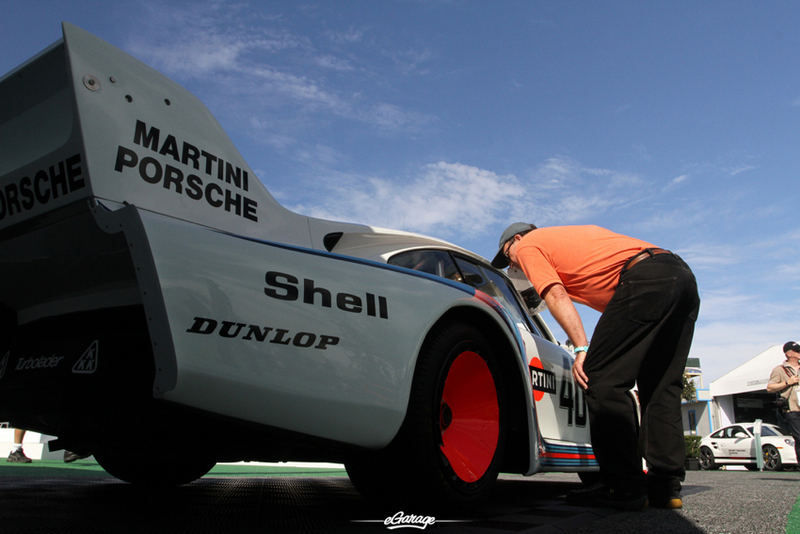 Rennsport Reunion, held every three years, has grown from a grass roots Porsche lovers event – which began in 2001 at Lime Rock Park in Connecticut – to the biggest Porsche event ever held along the Monterey Peninsula for the first time. 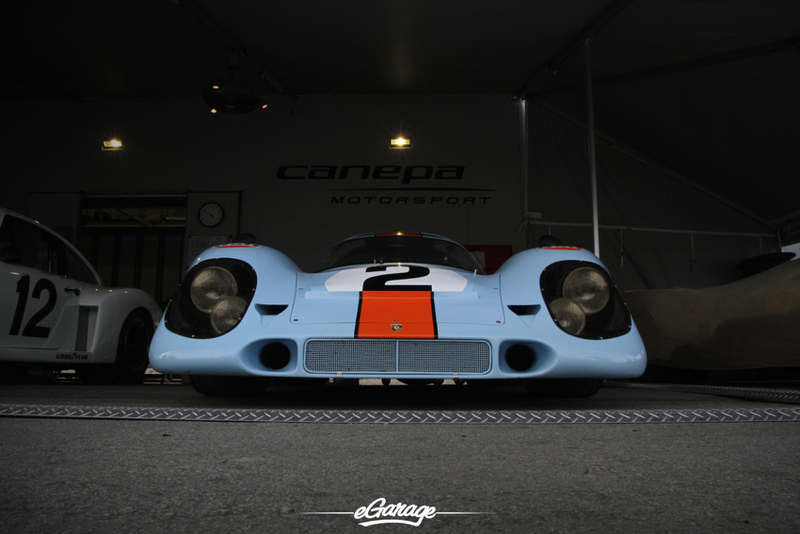 Porsche Rennsport Reunion IV gathered the widest variety of Porsche’s most historic racing models we had ever witnessed. 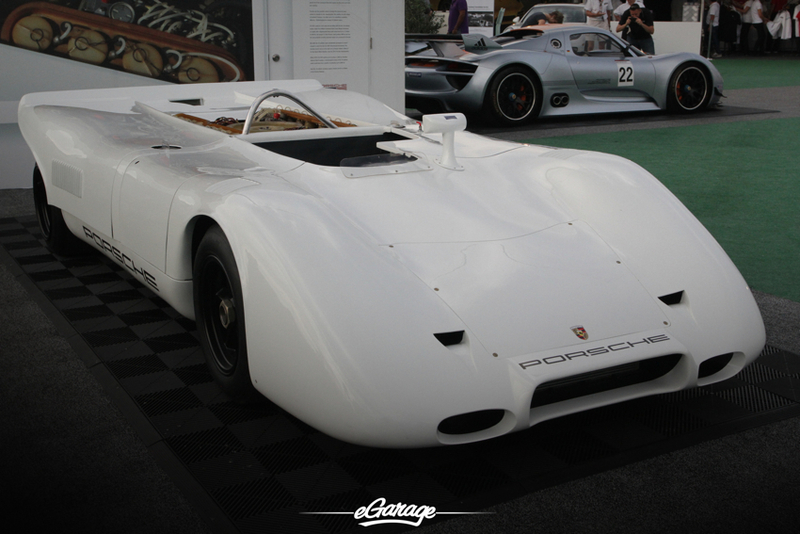 Practically everything Porsche was in attendance from the famous lightweight silver 1950’s vintage 550 Spyders through the historic 917 and 956/962’s of the 1970’s and the 1980’s most successful 911’s all the way through to the GT3 & 918 RSR. 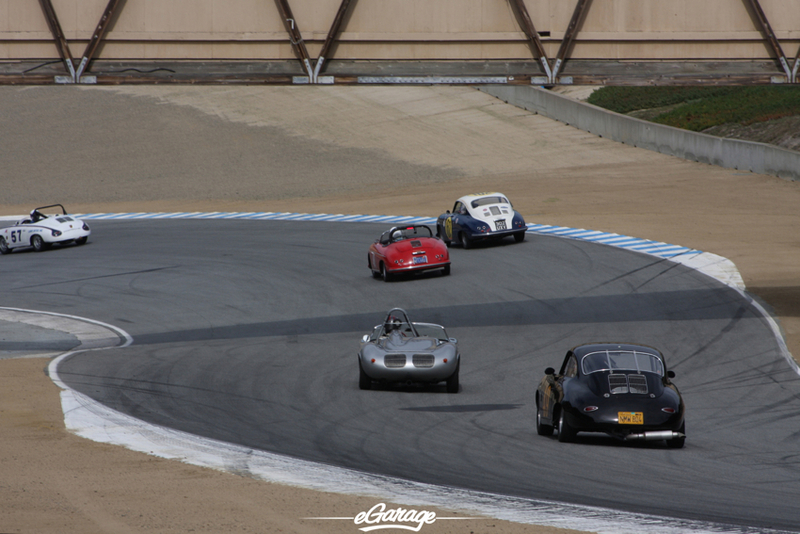 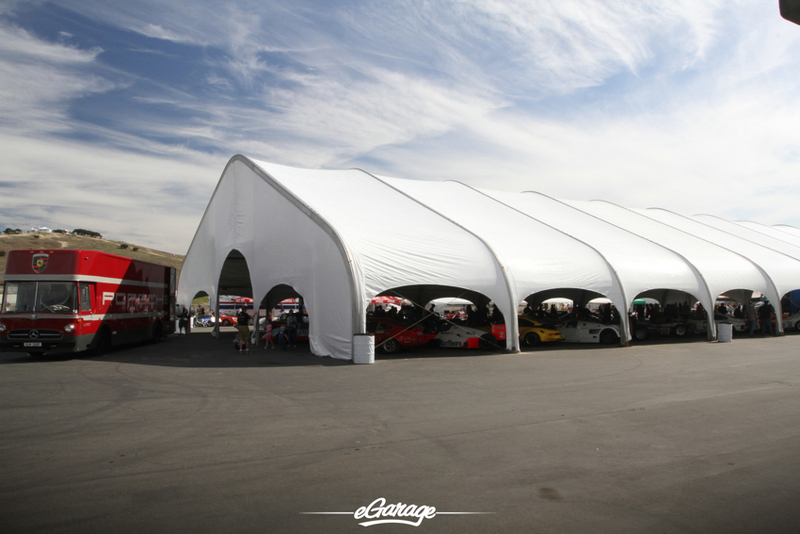 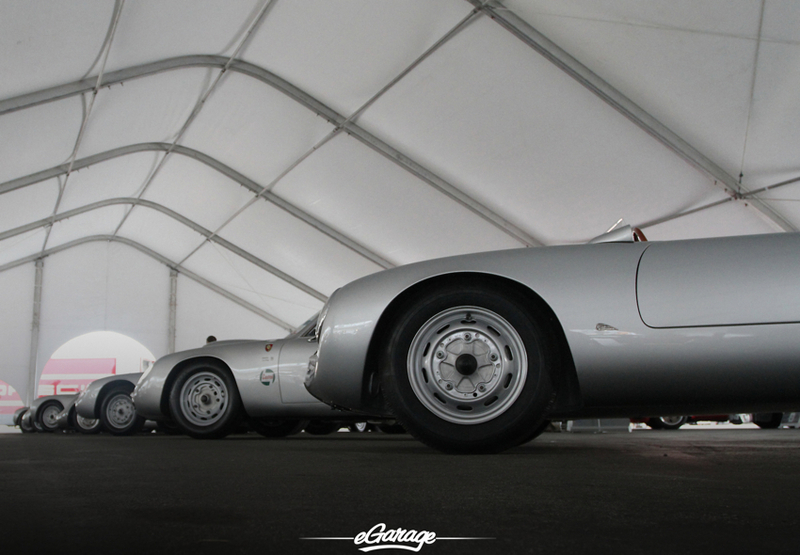 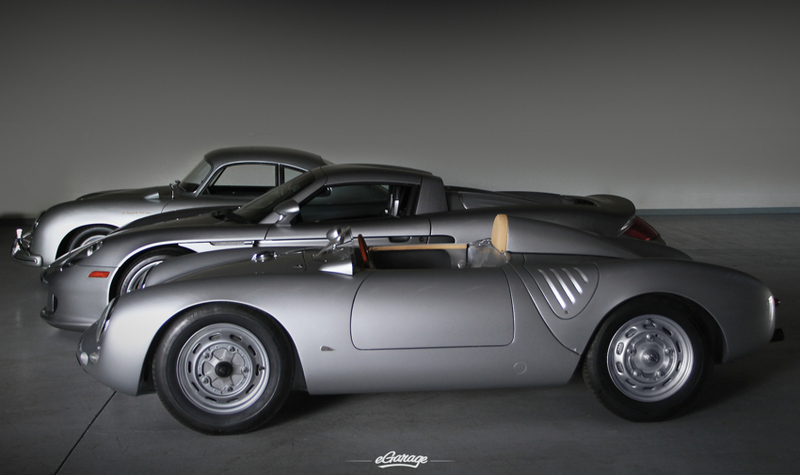 eGarage contributed by showcasing a rare 1957 Porsche 550A Spyder – which was the only “A” model 550 at the Laguna Seca Rennsport IV gathering. 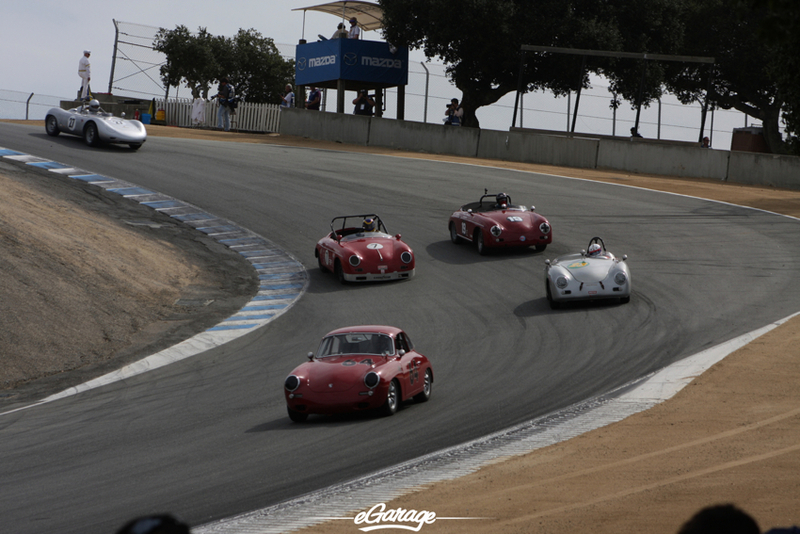 It was surreal to watch all these german born race cars rip through the famous corkscrew at Laguna Seca’s Mazda Raceway. 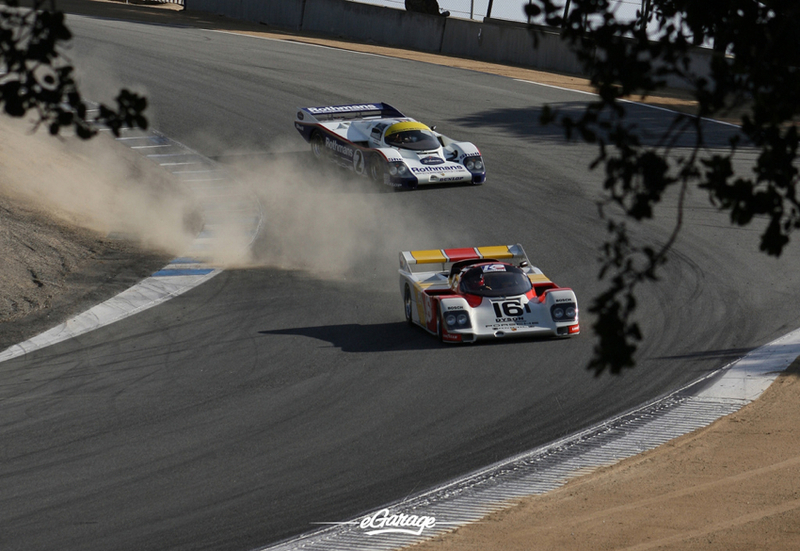 As usual, the corkscrew spectator section served as a laid back lawn area, reminiscent of an outdoor rock concert. 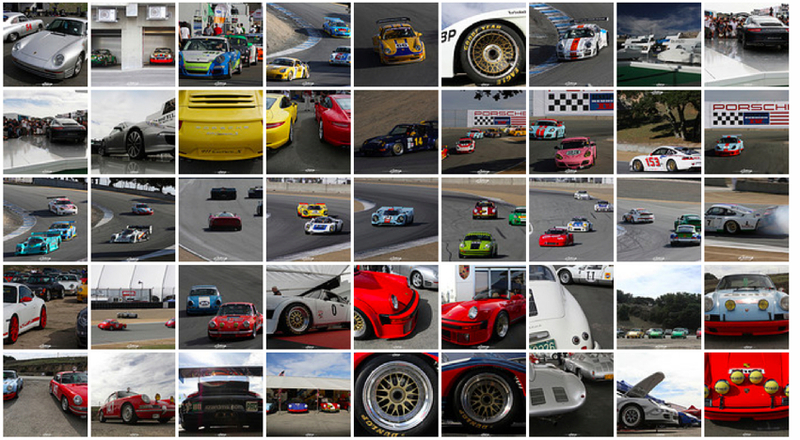 The Rennsport Reunion is in fact “the real deal.” We saw THE most historic Porsches ever created! 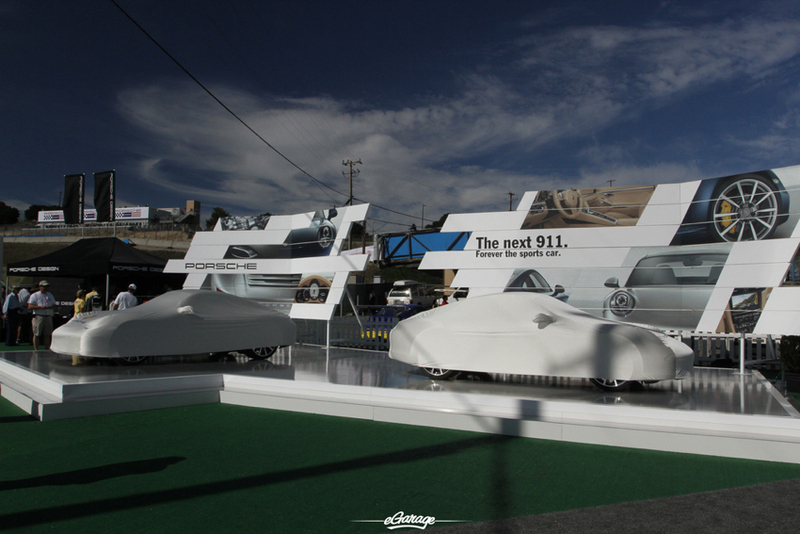 We watched the new 911 unveiled in its North American debut. 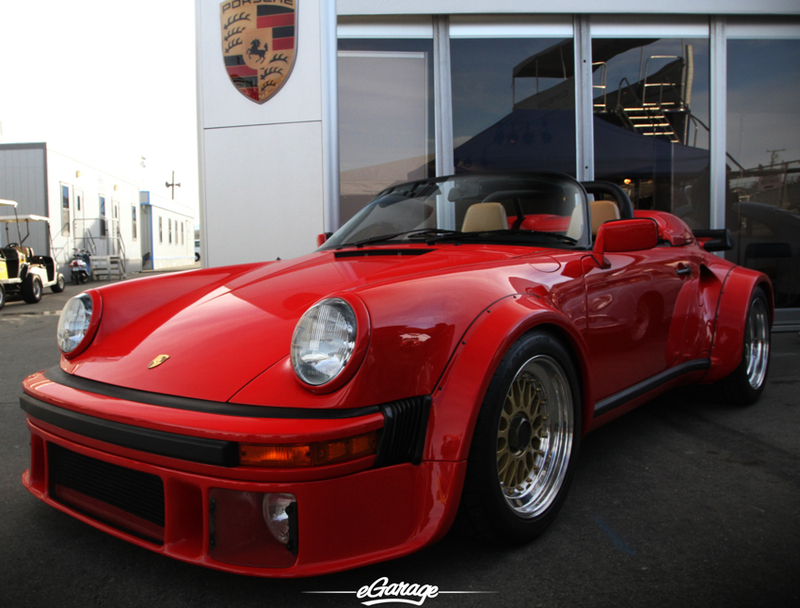 We drank and toasted to Porsche out of giant frothy mugs in the Oktoberfest beer garden. 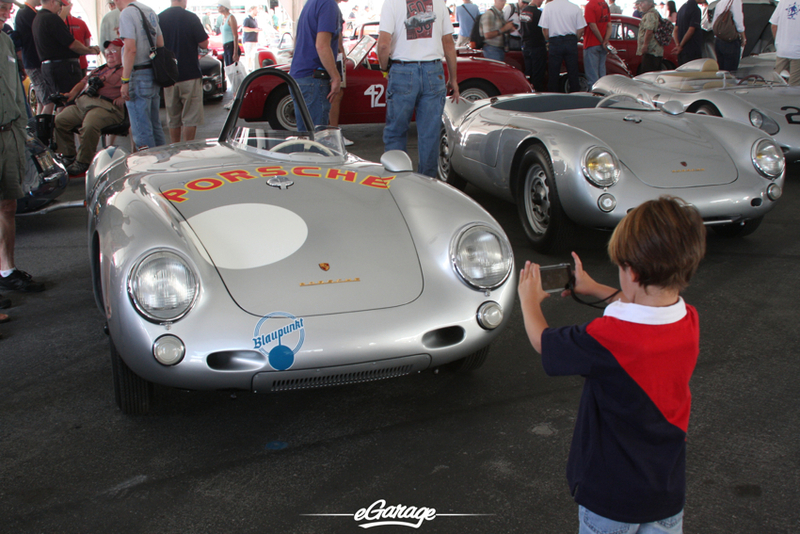 We met Jerry Seinfeld and filled our peripheral vision with Porsches and what we saw cannot be unseen.